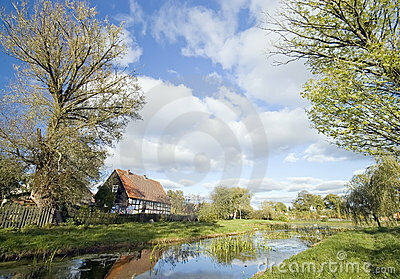 Picturesque rural village landscape in Poland. Typical Polish retro countryside. Cottage and pond in autumn, sunny weather.